In this digital age when text has assumed a design personality and content has been acknowledged as a king in the New Media, there will be “writers” and there will be “professional writers” taking central roles. How can you distinguish the professional writers from the hobby writer? Knowledge and Skills. The professional writer knows what to write and how to write it. The closest rub to this distinction is a period of exposure, study or learning, either by formal education or apprenticeship training, in the rudiments of writing and language usage. Having studied in any such manner, the writer applies the rules of language. Non-professional writers tend to write what they want to say without regard for the rules of language or the needs of their audience. Profound Empathy. The professional writer writes for others, seeking to know their audience’s needs and expectations and working there best to meet these needs and expectations. Effective empathy is seen in readers’ feedback and comments, and when blog visits turn to conversions. Openness for Improvement. The professional writer believes in themselves and their writing ability, but is open to correction or suggestion or even to critiquing of their work by others. They believe that the only way to improve their craft is to listen to what others are saying about their writing, especially the negative feedback. Ethical Writing Behaviour. The professional writer, being a writer for others, observes the rules of engagement in writing. They plan and organise their work, edit and refine their material, meet deadlines, and ensure that due diligence is observed to turn in an impeccable piece of written manuscript. They abide by any relevant ethical codes of conduct, upholding the dignity of their profession. Passion for Writing. Serious writers aiming to be classed as “professionals” strive to make writing a life endeavour, doing it earnestly and seriously for the money, and continually striving to deliver the best for their clients. They are in love with their work, literally dedicating their life to its pursuit. It’s called passion, a level of dedication that puts them in a mental posture to write anytime anywhere: living, eating, dreaming, writing. Stickler for Originality. The professional writer knows and understands the rules of plagiarism or originality in writing. They know by heart that expressing an idea that is not their own, without appropriate attribution, is against the rules of ethical conduct for writers. They guard against this serious offence by making sure that their writing is properly attributed where it is needed. These six attributes are not the only qualities that define the “professional writer” versus the hobby writer, but they are certainly some of the key signs professional writer. 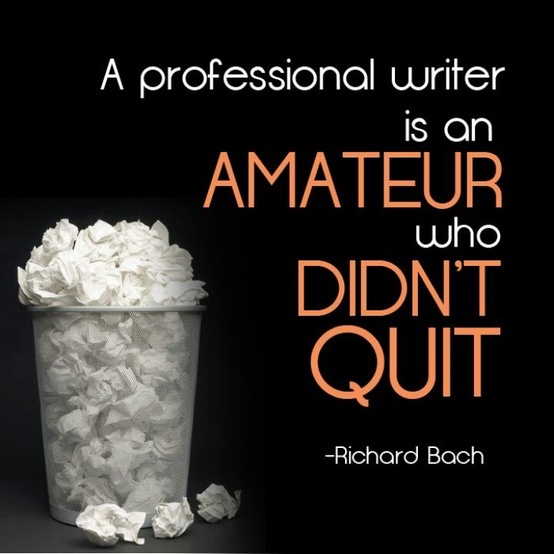 Most writers are “writers in process” at varying levels – continually striving to be better at their craft.